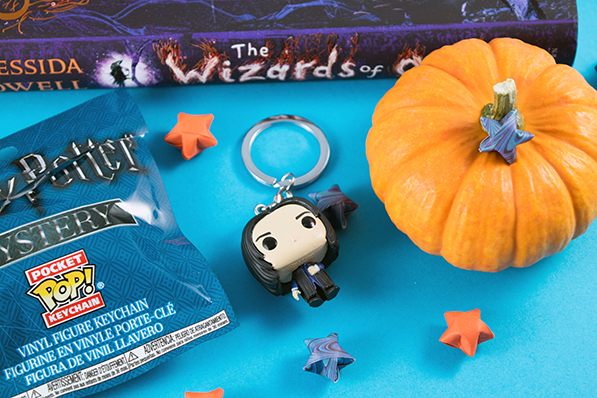 Witches and Wizards Cast a Spell on the October OwlCrate Jr. Box | YAYOMG! Note: As OwlCrate Jr. Reps, we received this box for free in exchange for a fair and honest review. All opinions are our own. 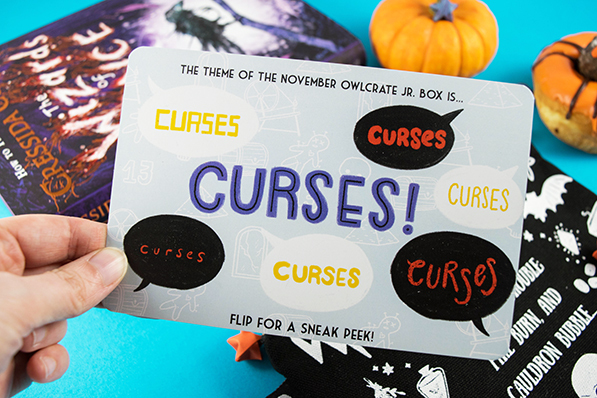 With October upon us and Halloween just a few days away, we knew that our OwlCrate Jr. would be oozing with spooky delights. They brought the Witches and Wizards theme to life in a ton of different ways, each more exciting than the last. 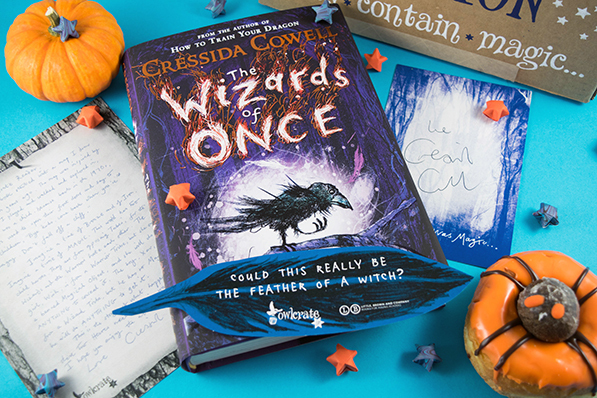 There are no tricks to be found in this box, but the treats are so magical we were left wondering if the OwlCrate crew are actually witches and wizards themselves. The book this month is extra special – it’s written by Cressida Cowell, author of the iconic How to Train Your Dragon series. Hold on to your witches hats and board your broomsticks, it’s time to find out what was lurking inside our October box! In the first book of a new series by the bestselling author of How to Train Your Dragon, the warring worlds of Wizards and Warriors collide in a thrilling and enchanting adventure. Once there were Wizards, who were Magic, and Warriors, who were not. But Xar, son of the King of Wizards, can’t cast a single spell. And Wish, daughter of the Warrior Queen, has a banned magical object of her own. 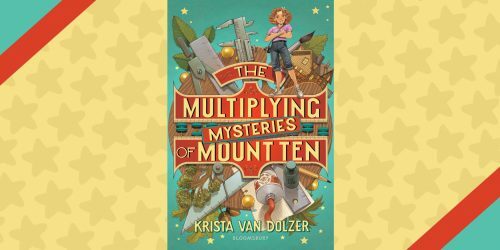 When they collide in the wildwood, on the trail of a deadly witch, it’s the start of a grand adventure that just might change the fabric of their worlds. With Cressida Cowell’s trademark wit, and the same stunning combination of action, adventure, humor, heart, and incredible artwork that made How to Train Your Dragon a beloved bestselling franchise, The Wizards of Once will transport and enchant readers. Along with this enchanting adventure, you’ll find a letter from the author, an autograph card, and feather bookmark to help you hold your place. 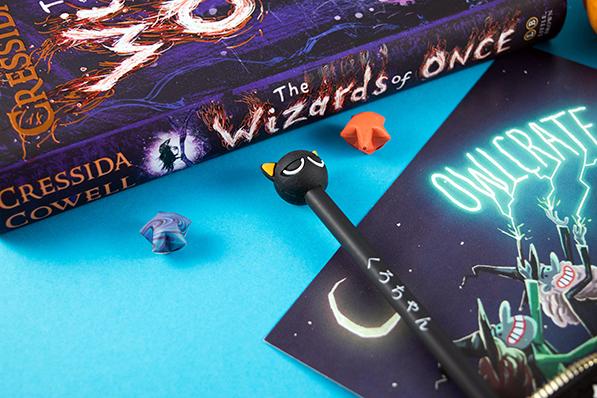 If you’re an OwlCrate Jr. subscriber, you’ve likely amassed quite a collection of autographs. If you’re looking for something to do with all those signatures, we suggest using washi tape to paste them into your reading journal to document your reading adventures or creating a corkboard collage of all the author letters, autographs, and OwlCrate pins you’ve collected over your time as a subscriber. It wouldn’t be Witches and Wizards without the most iconic wizard of all – Harry Potter! This adorable mini keychain comes blind bagged, making it even more magical when you tear it open and see which character you received. Being pocket-sized, even the most devious characters look utterly adorable. We got Professor Snape! 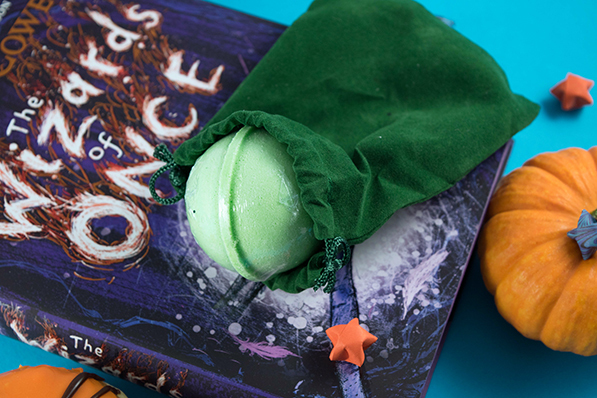 The OwlCrate Jr. team knows there’s nothing better than warming up on a crisp Fall night with a bubble bath and a good book, and that’s exactly what they’ve given you in this months box! You probably smelled this item as soon as you lifted the lid, and if you’re like us, you simply couldn’t wait to pop in the bath and watch it fizz. Once it’s all fizzed out, you’ll find a Wizard of Oz charm inside! 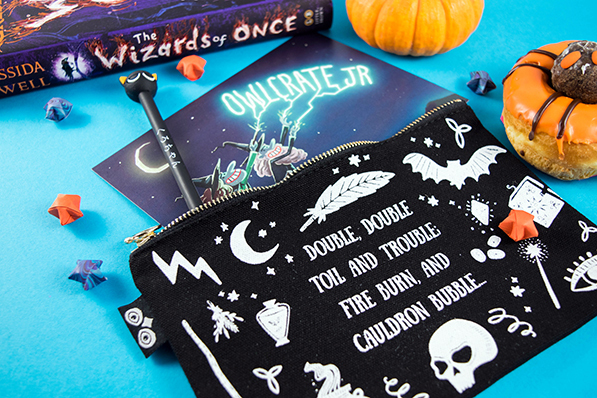 “Double, double toil and trouble; fire burn, and cauldron bubble…” This witchy zipper pouch is beyond cute and the perfect item for Halloween. Use it as a pencil case, a makeup bag, or place to stash all your favorite candy you don’t want people to find! MEOW! How adorable is this pen? It wouldn’t be Halloween without a black cat, but don’t worry – this one won’t bring you bad luck. Use it to ace your next big test and prove everyone wrong about that whole “black cats are unlucky” thing. What’s next? 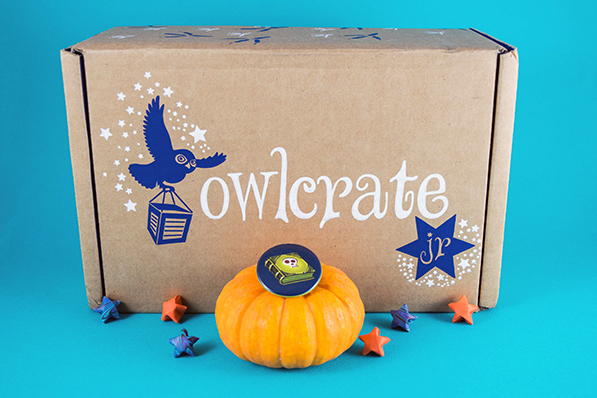 Witches and Wizards may be behind us, but the magic continues in November’s OwlCrate Jr. box. The theme is Curses! 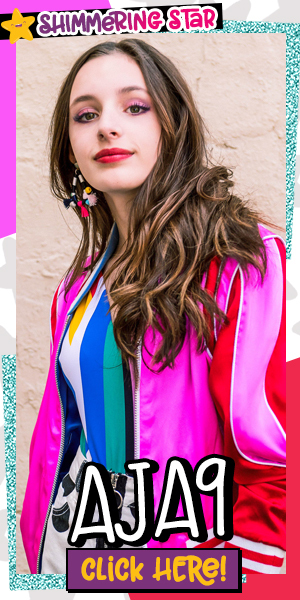 Sounds like one you definitely don’t want to miss! Break the curse and enjoy the magic of a 15% off discount. 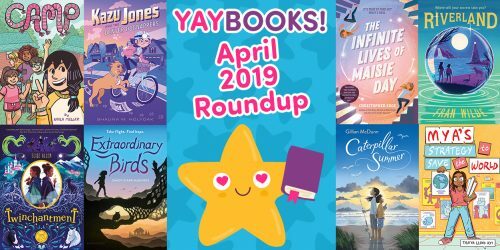 Use our code OMG15 to save 15% off your purchase, good for both OwlCrate Jr. AND OwlCrate subscriptions! Can’t get enough scares and thrills? You’ll love these 12 Halloween Reads to Get You in the Spooky Spirit! 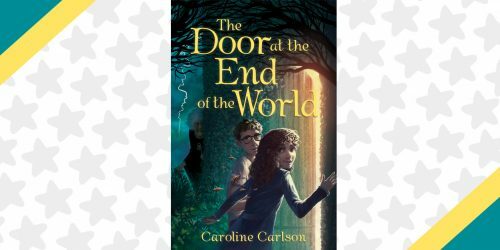 5 Fun Facts About The Door at the End of the World + GIVEAWAY! Evangeline’s Guide to Embracing Your Inner Sparkle + GIVEAWAY!